Stop Climate Chaos Scotland (SCCS) has called on the Scottish Government to lead by example at Rio+20 – the UN conference on sustainable development in Brazil next week. 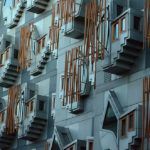 On the eve of Climate Change Minister Stewart Stevenson’s departure for the conference, SCCS has urged him to use Scotland’s progressive stance on environmental issues to influence the global talks. The call came as Mr Stevenson addressed the SCCS AGM in Edinburgh. The coalition, which includes more than 60 organisations, believes Scotland has the opportunity to act as a global champion for action on climate change. The Rio+20 conference follows the launch of the world’s first Climate Justice Fund in Edinburgh – which was endorsed by former Irish President and human rights champion Mary Robinson. The fund is recognition that Scotland helped cause climate change and therefore has a moral duty to help those most affected by it in some of the world’s poorest communities. In addition, Scotland has the strongest climate change legislation in the world, although efforts are needed to ensure the targets within that Act are met. 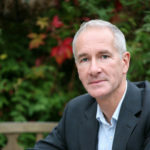 Tom Ballantine, Chair of Stop Climate Chaos Scotland, said: “The Rio+20 conference is a major opportunity to refocus on sustainable development and the eradication of poverty. “Governments must steer away from prioritising ‘the economy’ alone – and instead focus equally on the three pillars of sustainability: the social, the environmental and the economic. “Climate change, environmental damage and unsustainable consumption of resources – combined with the financial meltdown – all point towards an economic system that isn’t working. Rather than presenting a wish-list of measures not on the table at Rio, SCCS wants Scotland to help frame the fundamental change needed to guarantee rights-based sustainable development for all. Mr Stevenson should showcase Scotland’s innovation in green technologies, promote the Scottish Climate Justice Fund and our domestic focus on climate change and energy strategies. He should push for a new global framework on sustainable development that is open and inclusive. For example, investing in small-scale farmers is vital in boosting global food production at a time when one in seven go to bed hungry each night. Stewart Stevenson said: “Scotland is leading the way in tackling climate change and it is right that Scotland will play its part in this year’s Earth Summit. “Scotland is becoming a world-leader in renewables development and low carbon technology and we have just launched our innovative Climate Justice Fund. We know that successful economic development can be green development yet it can also be inclusive development. The low carbon economy offers a huge opportunity for us, creating tens of thousands of jobs and reindustrialising our economy. “And as we create green jobs at home we are helping other countries develop renewable energy, and also tackling the devastating impact of climate change on the world’s poorest. It is this joined up vision that I will take to Rio, promoting Scotland’s world leading carbon reduction targets and our actions.